When we see that kind of reaction, we know something interesting is in the house! 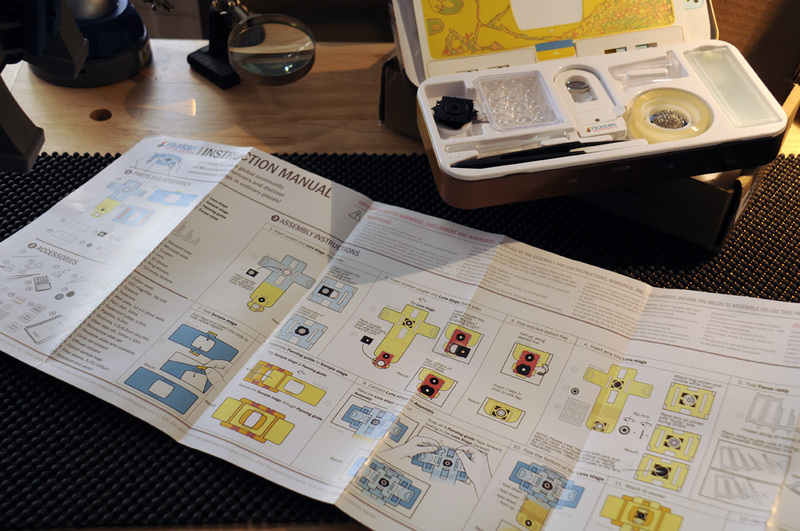 Manu observed, while working in a number of locations around the globe, that the bulky, expensive microscopes were not being used because people were afraid of breaking them. He also realized that lab microscopes were not designed to be used in field work, which was limiting the amount of in situ (“on site”) science work —much of it had to be done back in a lab, creating a lag time for actual investigations. The solution required a radical approach, and the quest to design a low-cost, easy-to-use microscope with sufficient optical quality to do real work was on! 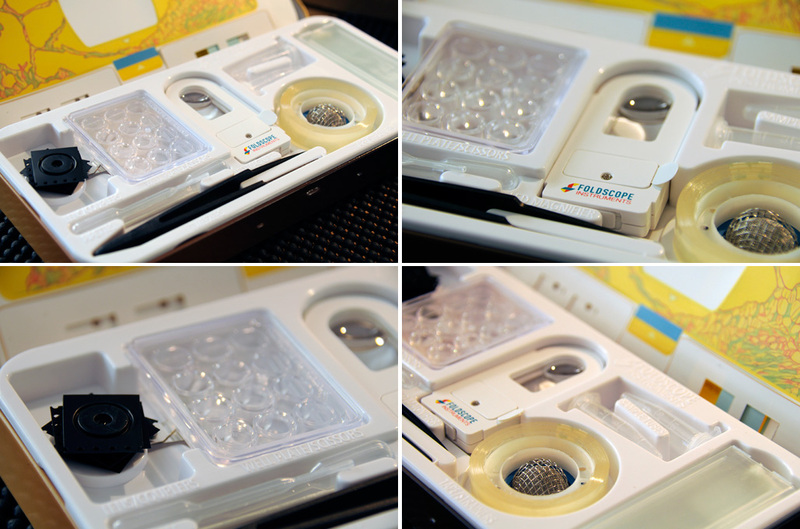 The result was the Foldscope. 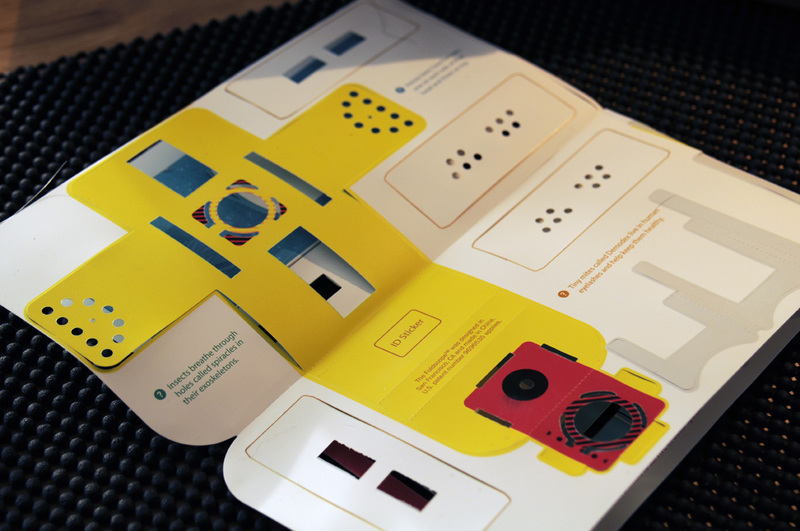 The Foldscope is part of the approach to what Prakash calls doing “frugal science.” A functional microscope which can be made for $1 is part of that strategy. The paper here from 2014 talks more about how the device works, its capabilities, and the limits of the design. 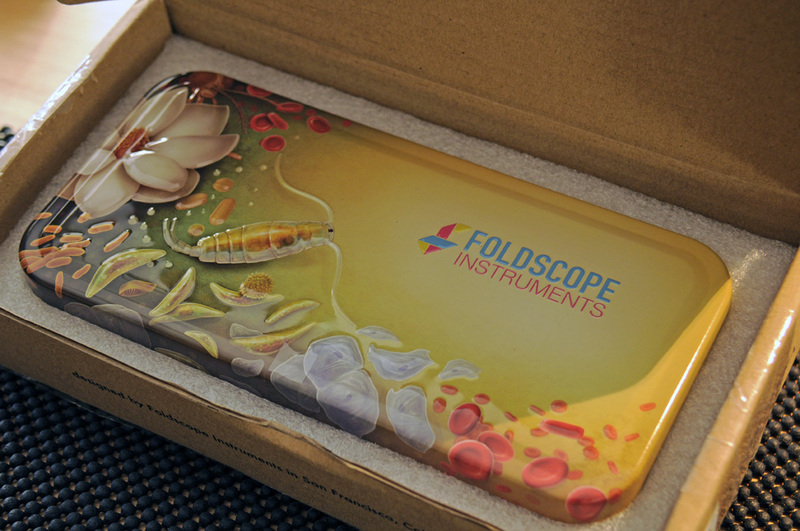 Four years later, the Foldscope team, with hundred of thousands of units shipped, has learned a lot more about how to mass produce them and how they function in real life. 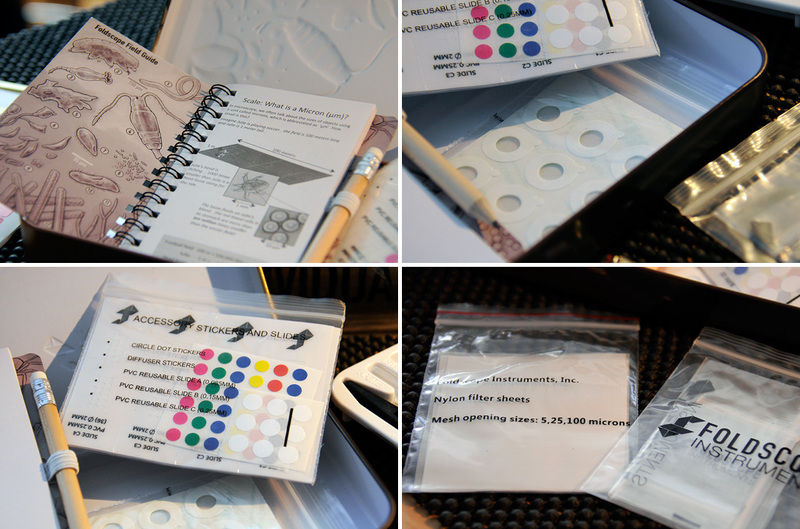 Along with some tweeks to the origami design of the Foldscope itself, they have also assembled a collection of tools and accessories to make sample collection and field observations easier…enter the Deluxe Kit. 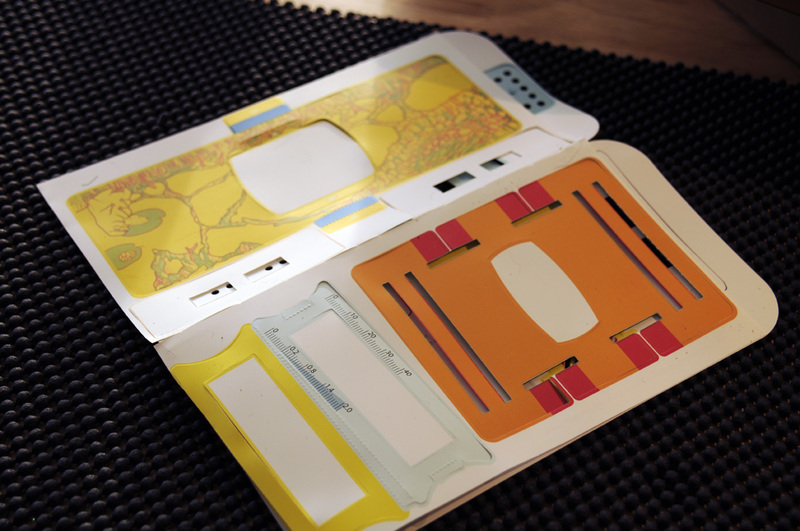 There are two layers to the box of the Deluxe Kit. 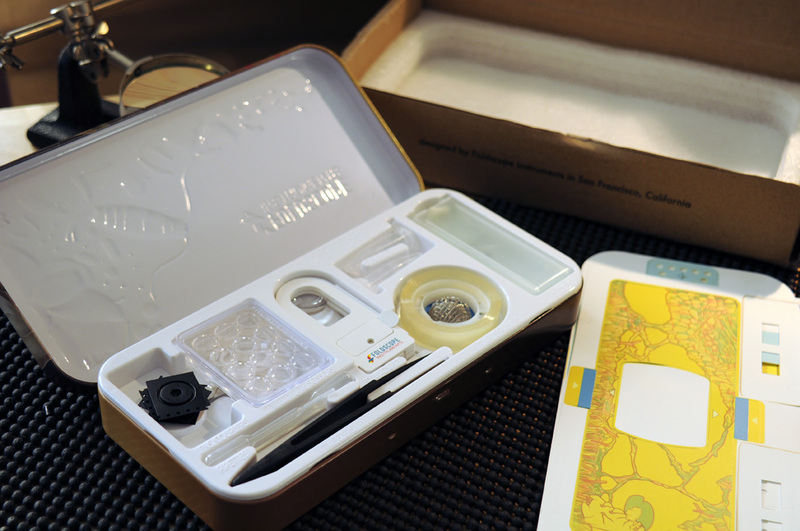 The molded tray holds most of the tools, tubes, lenses, and…stuff. Lifting the tray out reveal a space underneath which is large enough to store a field notebook and ziplock bags of labels, filters, and other flat items. 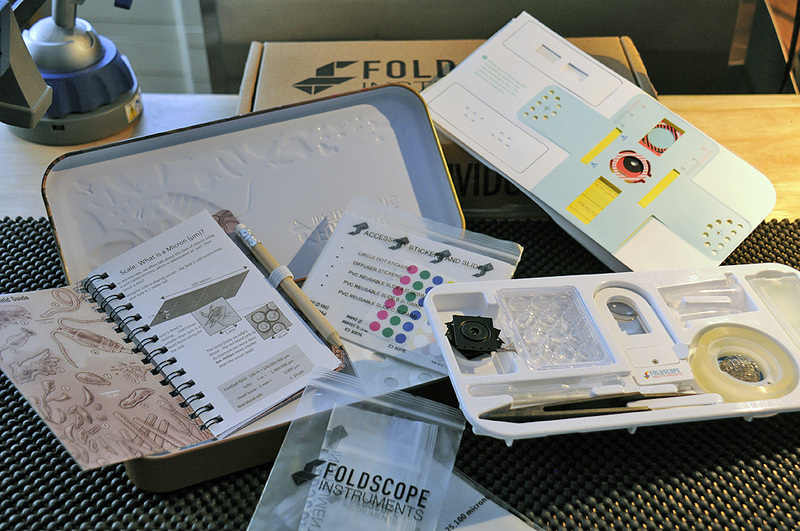 All of the bits and pieces are interesting additions to the paper Foldscope and will likely make the field experience more enjoyable. We look forward to taking it out and giving them all a try. The assembly of the paper microscope seems complicated, but is actually a lot simpler than the written instructions make it out to be. A lot of the apparent complication has to do with having to describe how to fold something flat into three dimensions, which is often easier to understand from watching a video. 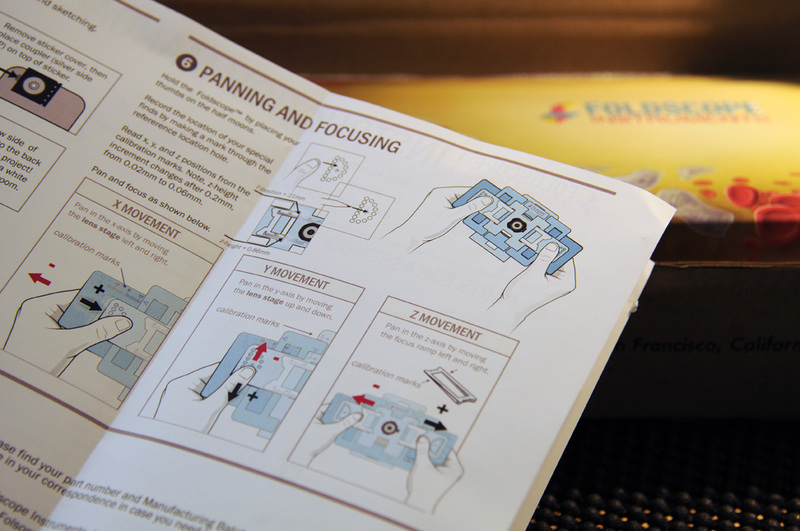 How to use the Foldscope is also detailed in the instruction manual, along with suggestions for slide preparation, how to gather samples, and how to use the Foldscope with the camera on a smartphone to take photos and videos for sharing. One of our past RainyDayScience efforts was a series called Backyard Biotech. We think it is again time to add to the series based on this new piece of gear. 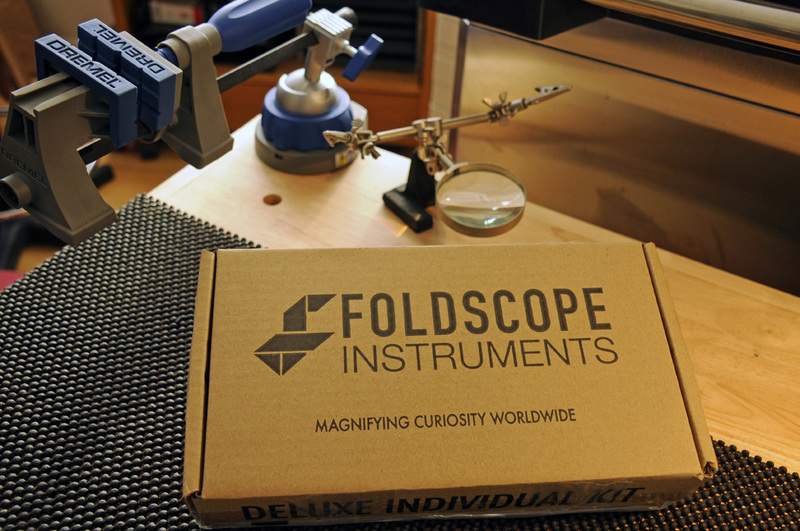 It will be exciting to see what we can see once we’ve assembled the scope. Look for the construction write-up soon!